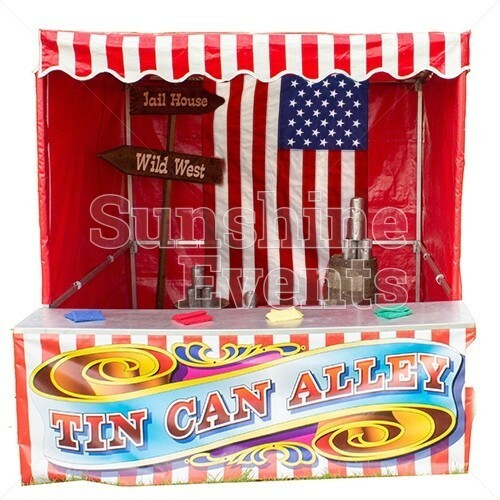 Named after the New York district of Tin Pan Alley, the Tin Can Alley Stall is the epitome of the American Side Stall games so it’s only right that it should feature in our line-up of Wild West themed Side Stalls. 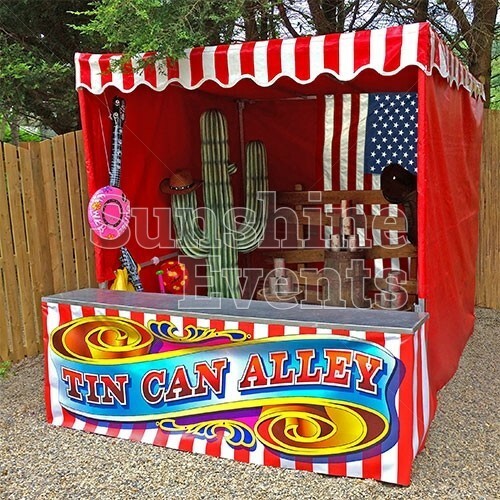 However, we’ll make things that little bit more trickier as we replace the infrared rifles of the 1970s children’s games with bean bags to throw at the tower of metal cans. 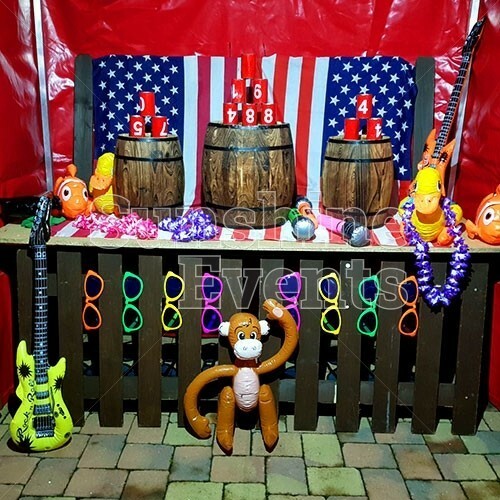 We’ll arm you with 5 bean bags and it will be your task to knock down all the cans in the stall so you’ll need skill and accuracy as you’ll need to clear as many cans as possible with each throw. 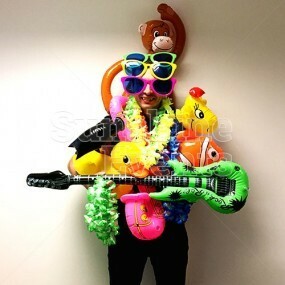 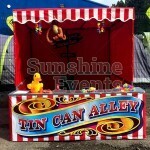 Should you succeed and knock down all the cans then you will receive one of the 50 novelty prizes included with the stall hire. 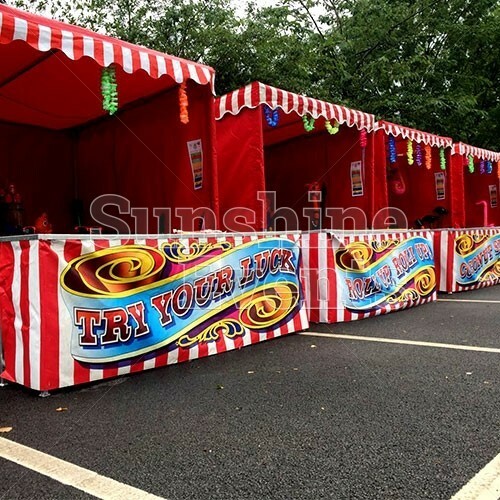 All our Side Stalls are decked out in the classic red and white striped canopy, with a brightly coloured front banner advertising the type of game within. 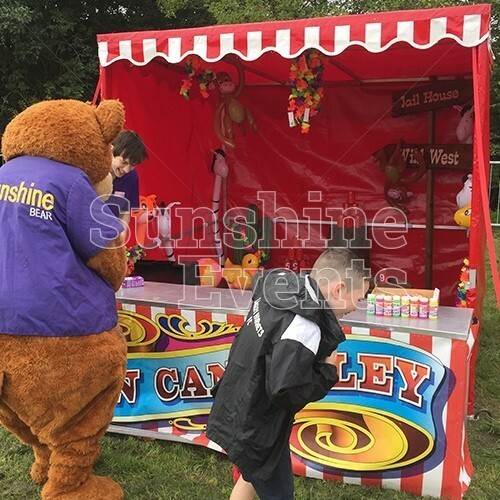 We can even produce branded versions of these banners for you - all you have to do is supply us with the artwork and we’ll take care of the rest. 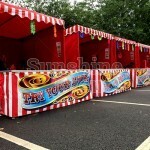 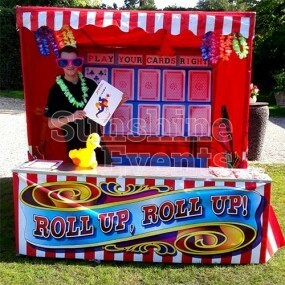 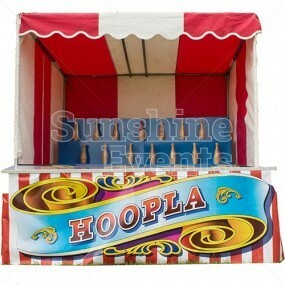 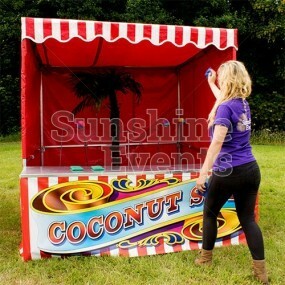 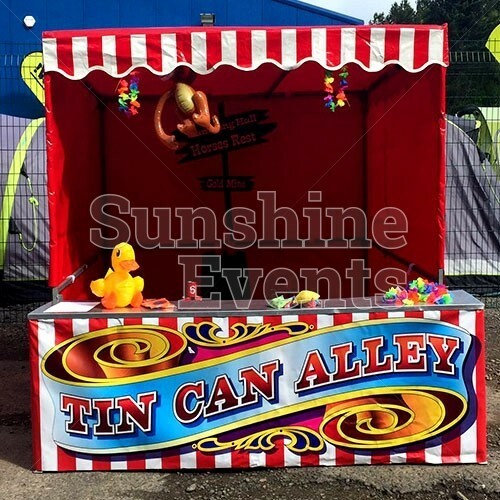 What events are the Tin Can Alley Stall Hire suitable for? 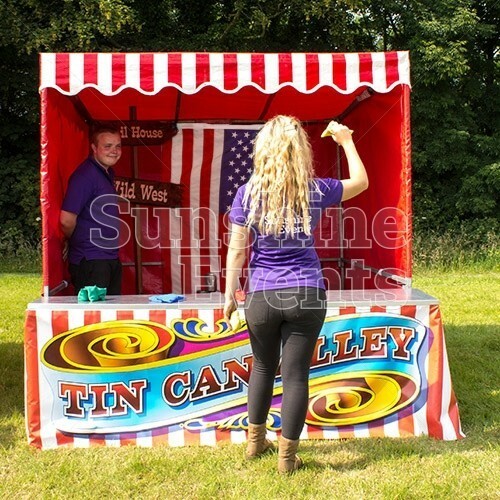 No Western Themed event is complete without the Tin Can Alley Stall Hire, but it’s just as popular with the classic Funfair Theme too, so make sure you bring this popular stall to your event. 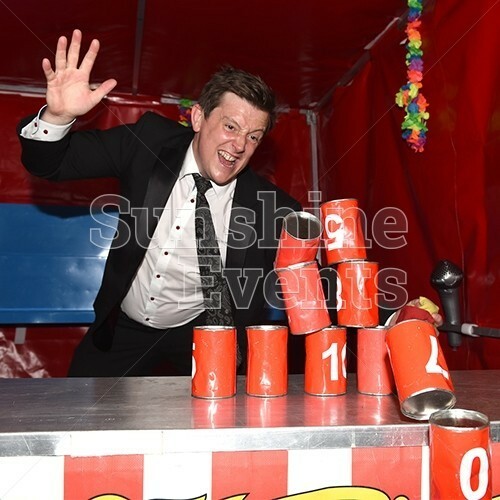 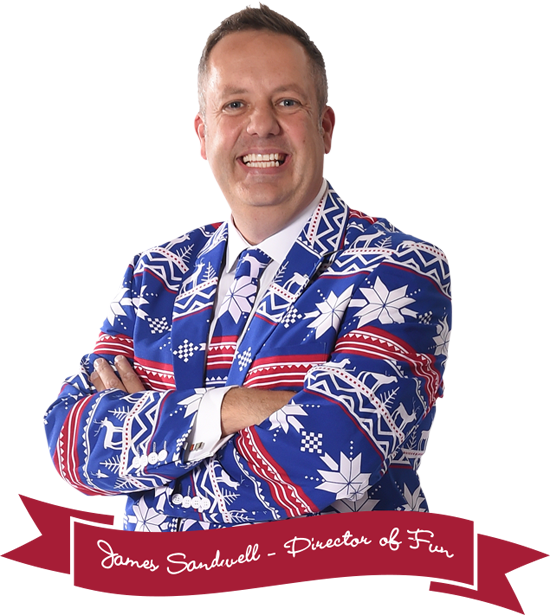 If you need to win your sweetheart a prize, or just want a bit of fun trying to knock those can down then call the Fun Experts now and get yourself a brilliant Side Stall game. 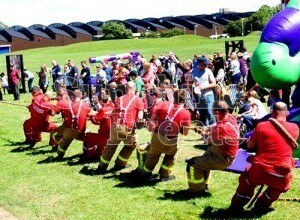 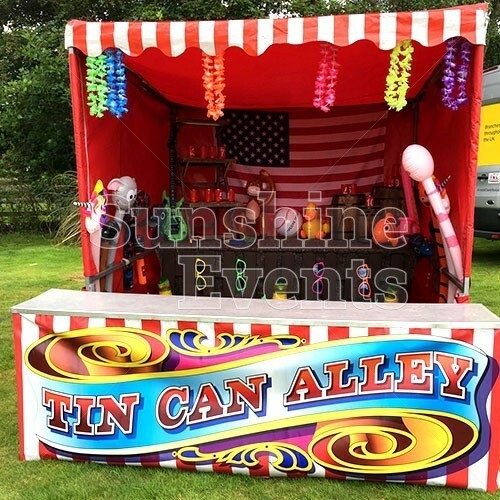 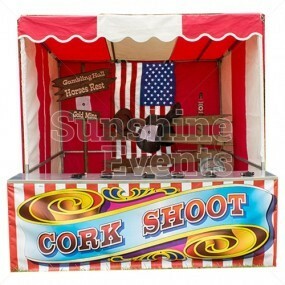 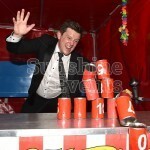 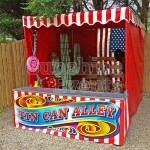 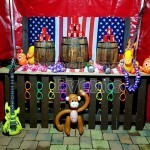 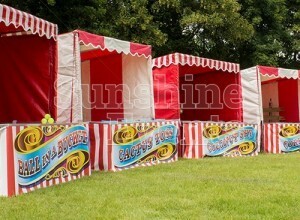 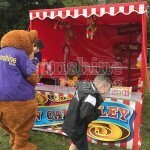 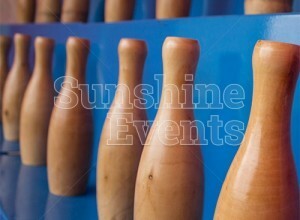 Tin Can Alley Stall Hire has been added to your Event Quote.